It was the vending machine for cheese that confirmed we had arrived in a special place. 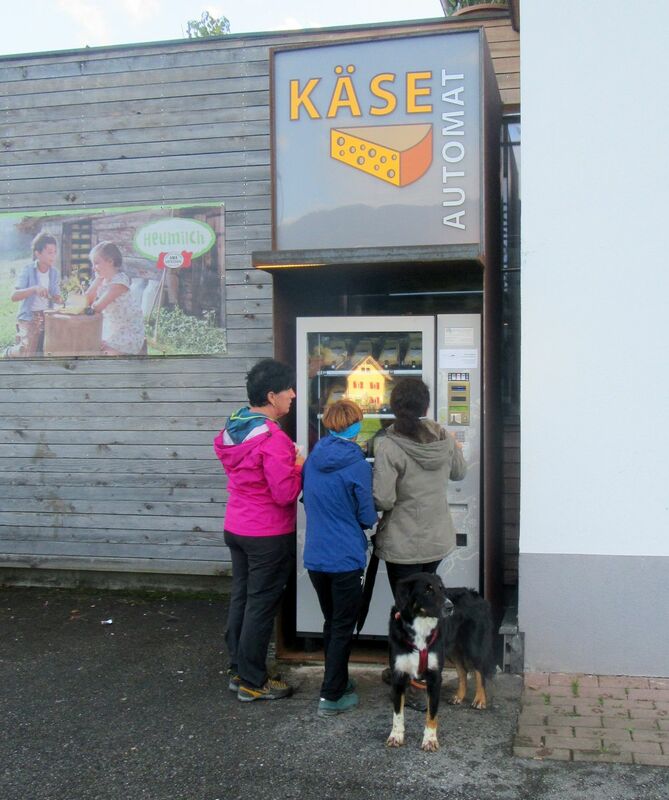 This was our first evening in the Bregenzerwald, and the vending machine was outside a small village dairy, because local people get nervous if they can’t get cheese at all hours. Over the next three days, many more cheesy stories would unfold. First, the basics. 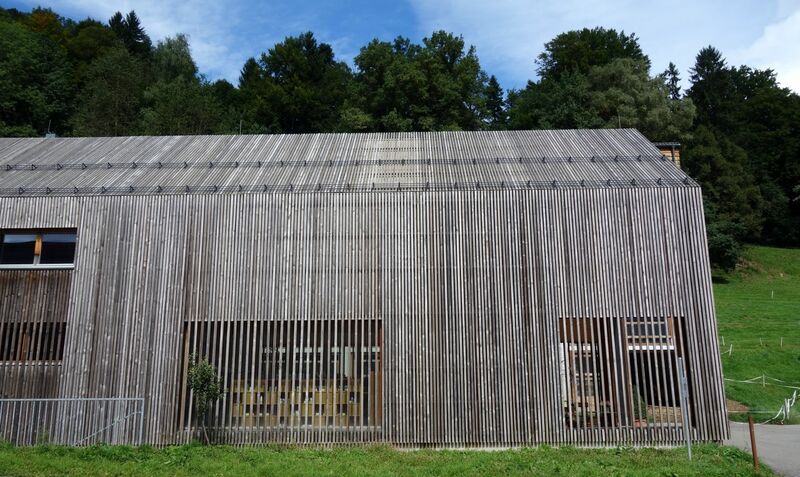 Last September we were in Vorarlberg, the westernmost province of Austria. 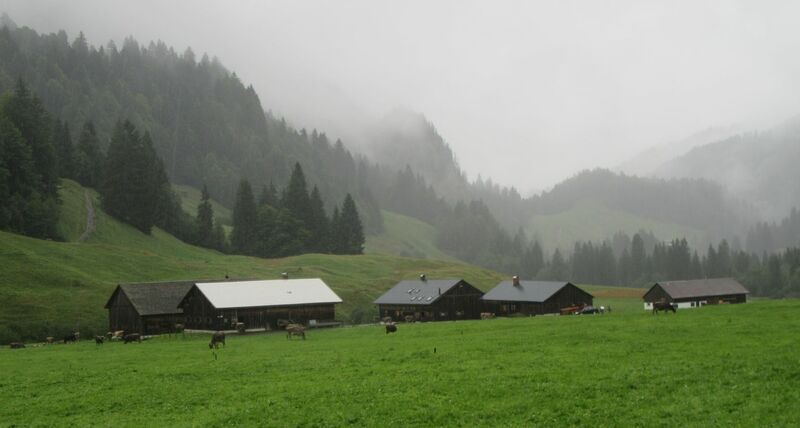 The Bregenzerwald district of Vorarlberg is in the Alps, the kind of landscape that gets described as “story book”: perfect little villages, improbably green meadows, all backed by towering mountains. We were about to learn that many of the most attractive elements of this landscape owe their existence and persistence to a culture of cheese. 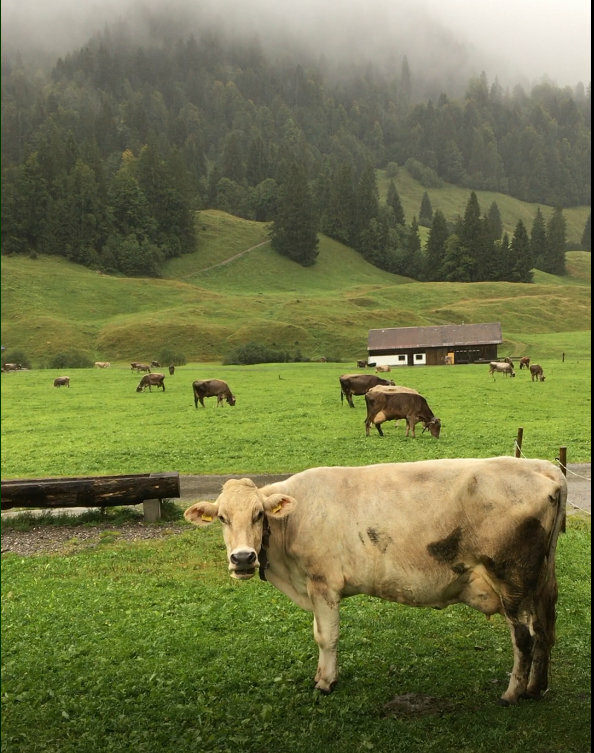 Our cheese adventures began in earnest the next day, when we met some of the cows that provide milk for the cheese (apparently the alpine herbs they eat helps produce a flavourful milk). 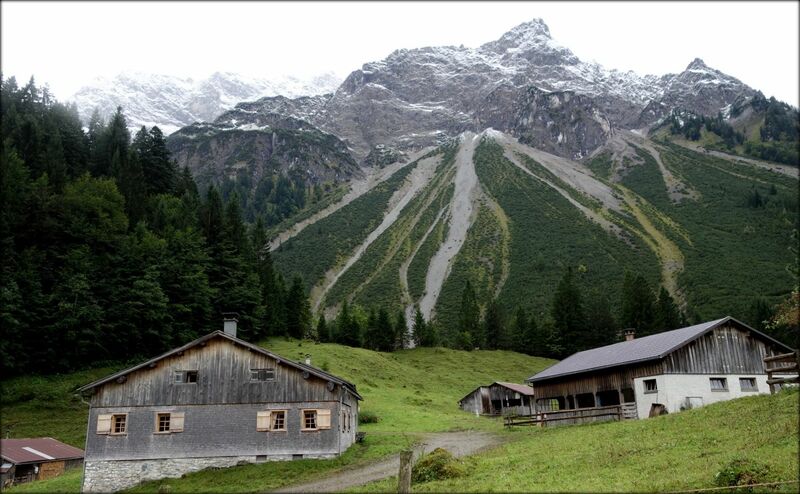 They greeted us by ringing their bells as we walked to the misty mountain hamlet of Schönenbach. Visitors’ cars are not allowed in the community, and the charming walk in was about a kilometre from a parking area (we had intended to walk over a mountain to get there but had been driven off the high trail by a sudden snow squall). 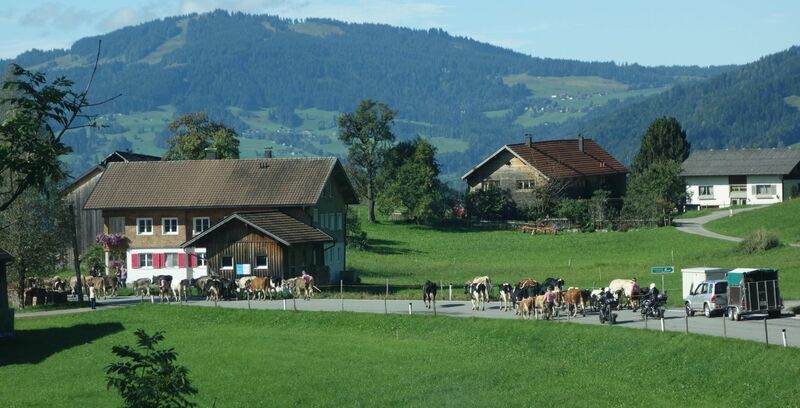 For centuries, the farmers of the Bregenzerwald region have practiced a three-step farming method. 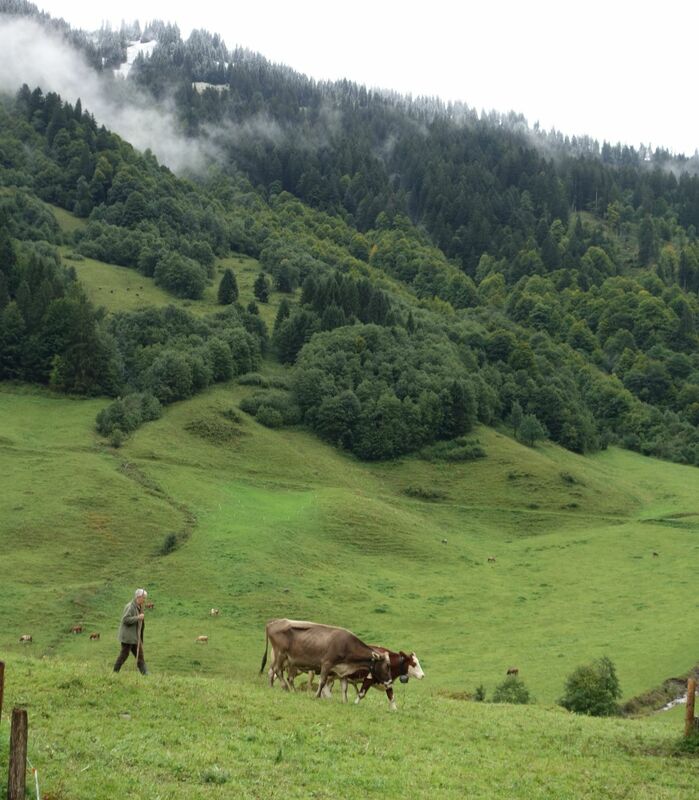 Cows spend summer in high alpine pastures. 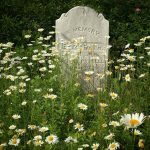 For a few weeks in spring and fall, they graze in mid-level meadows, like Schönenbach, and in advance of cold weather and deep snow they return to the valley floor for the winter. 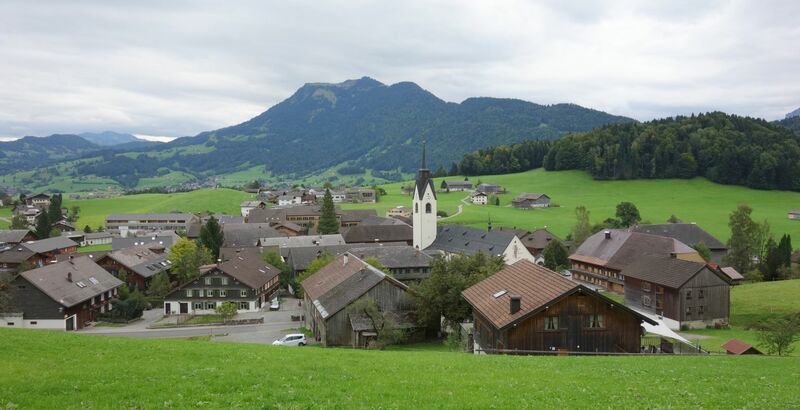 The people of the Bregenzerwald have a deep affection for settlements like Schönenbach, occupied for only a few months a year and conserving a fragile mountain landscape. It took an early morning start to reach another mid-level pasture in time to see mountain cheese being made. We drove up a steep and narrow private road to a tiny community, below high peaks, already covered with fresh snow in early September. Too soon for snow, we were told solemnly. 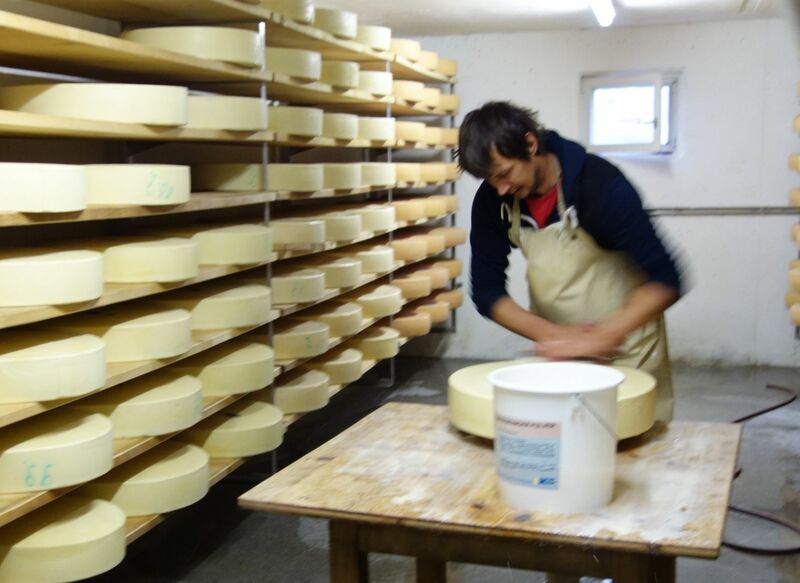 Traditionally, cheese was a way of preserving milk that could not be consumed quickly, so there were small cheese-making operations close to where the cows happened to be grazing. 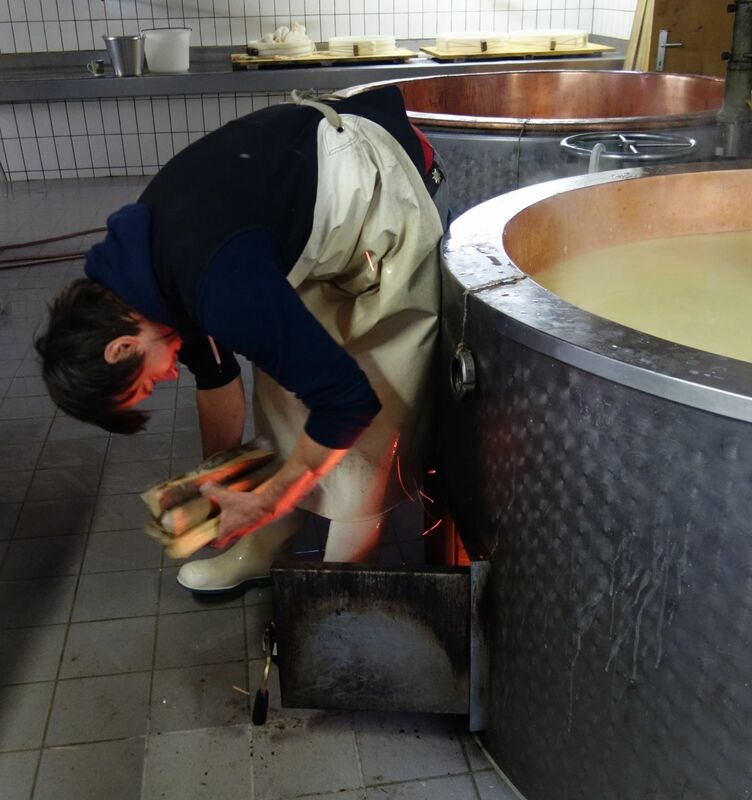 The solitary cheesemaker was busy stoking the wood fire under a huge vat of milk, checking for the feel of the developing curd and, in between, washing aging cheeses with brine. Then at the right moment, he worked quickly to form the cheese. For our cheese maker this was a seasonal job. In the summer he worked in construction, and in the winter in a ski shop. Helga, our guide, wondered why we were stuck in a traffic jam in the middle of the morning. Then it became evident we were behind cows returning from their summer on the alp to their toasty winter quarters in the valley. 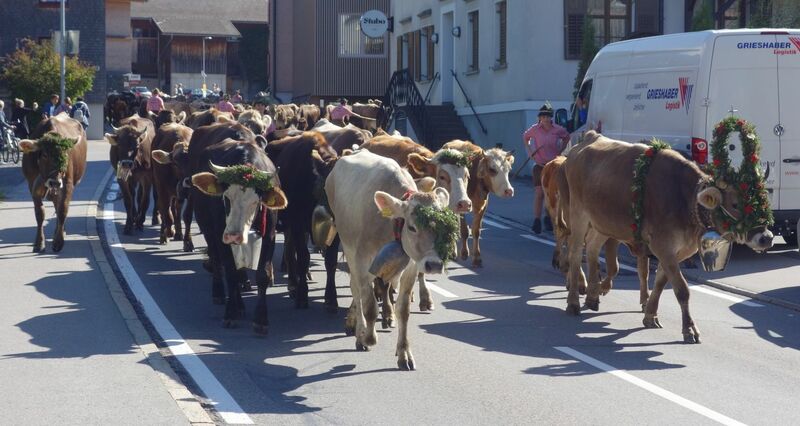 Helga whipped us down some tiny back roads so we could greet the cattle as they paraded through the centre of a town. 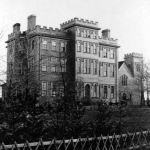 The lead cattle were decorated with mountain greenery and many wore huge, clanging bells. This decorating is a serious business. 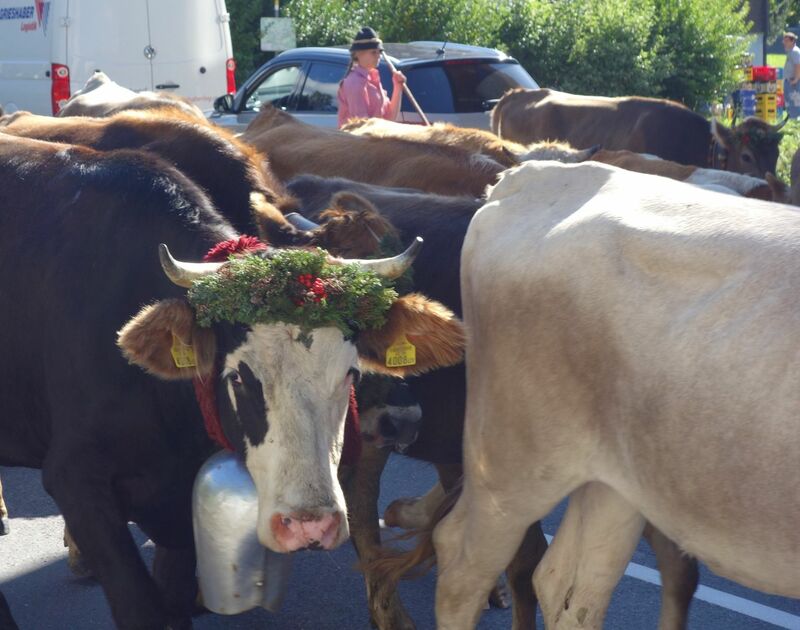 In Vorarlberg, cattle are only dressed up if it has been a “good” summer, meaning no cows or calves came to a bad end. 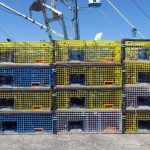 We were pleased to see things had gone well. Later we came upon another crew of cow herders in a town square. 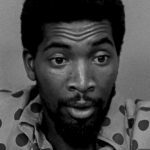 Farmers had already come and picked up their cows, and the herders were drinking beer and waiting for their employers to take them out to supper. We asked if they had a “good” summer. Well yes, it had ended up good. However, a newborn calf had gone missing for some time, but after much searching had been discovered, trapped in a rock crevasse. The calf was nursed back to health and the cattle could be decorated for their parade back to the valley. The herders also decorate their hats with mountain greenery. Many wear locally-made wooden clogs covered in black fur. I regret not buying a pair to wear gardening at home. 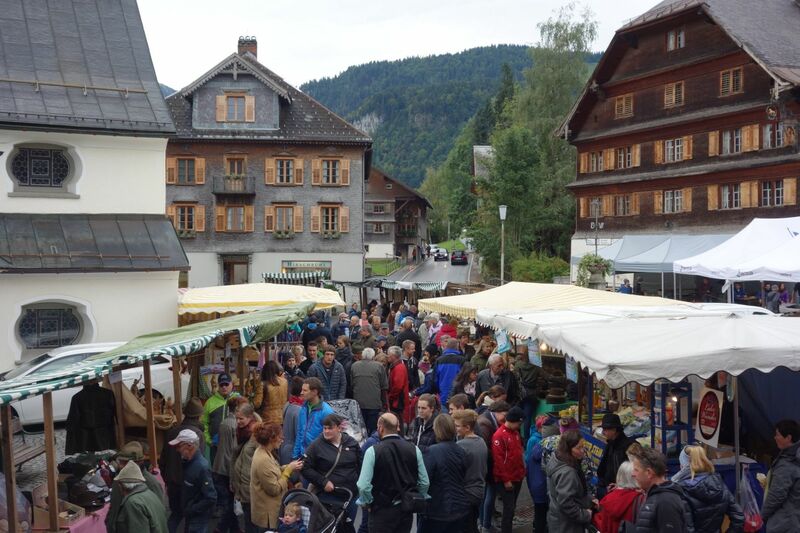 The prettiest village in the Bregenzerwald is probably Schwarzenberg. The square where we had met the herders yesterday was today transformed into a traditional market. 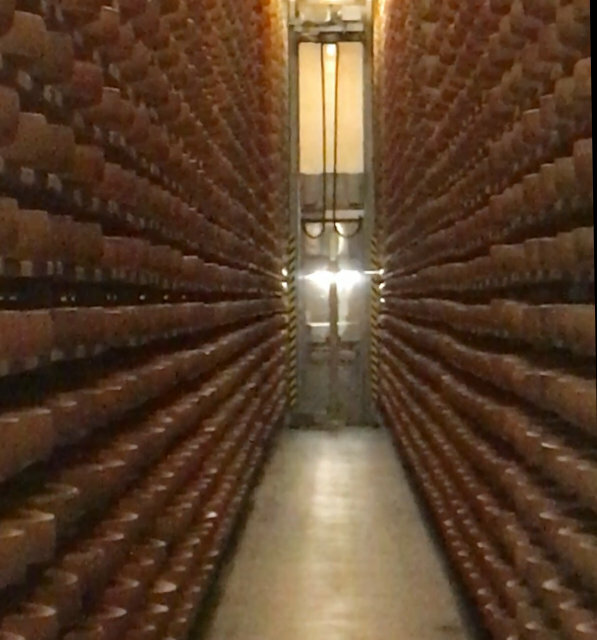 Around the corner from the street market, in a beautiful, wood-lined concert hall, was a massive display of local cheeses; hundreds of almost identical looking cheeses to sample. For a taste reference, think Swiss cheese. There are no bad views in the Bregenzerwald. There were many opportunities to eat cheese (I particularly enjoy the cheese and meats at breakfasts). 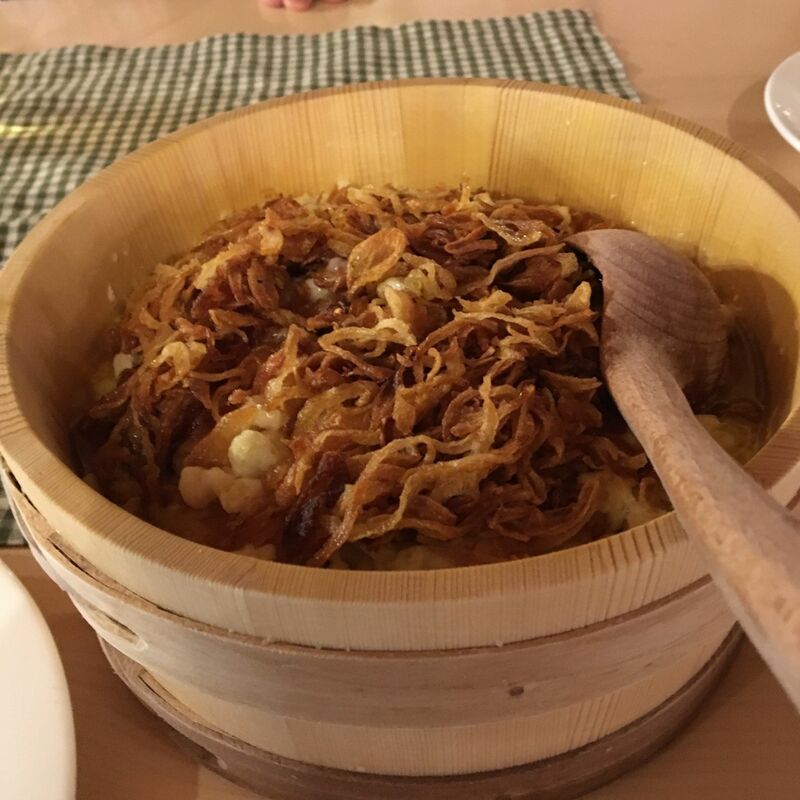 The signature regional dish is Kässpätzle, a cheese and pasta dish covered with caramelized onions, brought to the table in a wooden bowl. As delicious as it sounds. 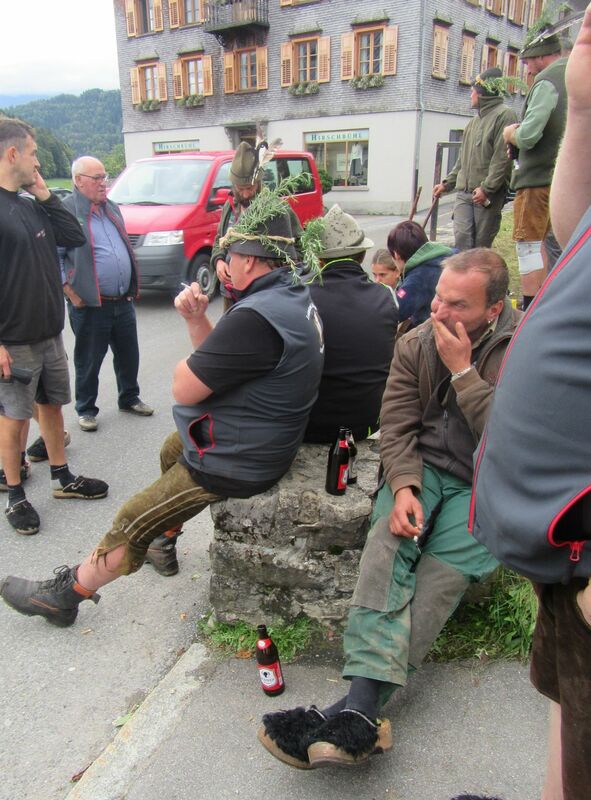 As the vending machine suggested, the folks of Vorarlberg value tradition but they also embrace new ideas. 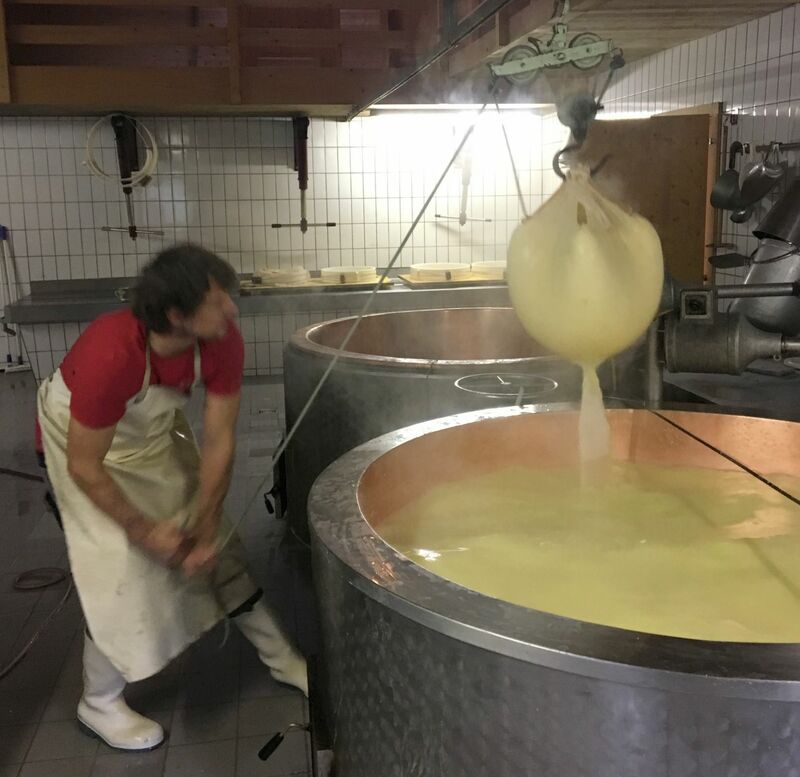 For example, 90% of the mountain cheese production of the Bregenzerwald is gathered from small dairies and stored, and matured, in a huge cooperative “cellar.” Over 30,000 rounds of cheese! 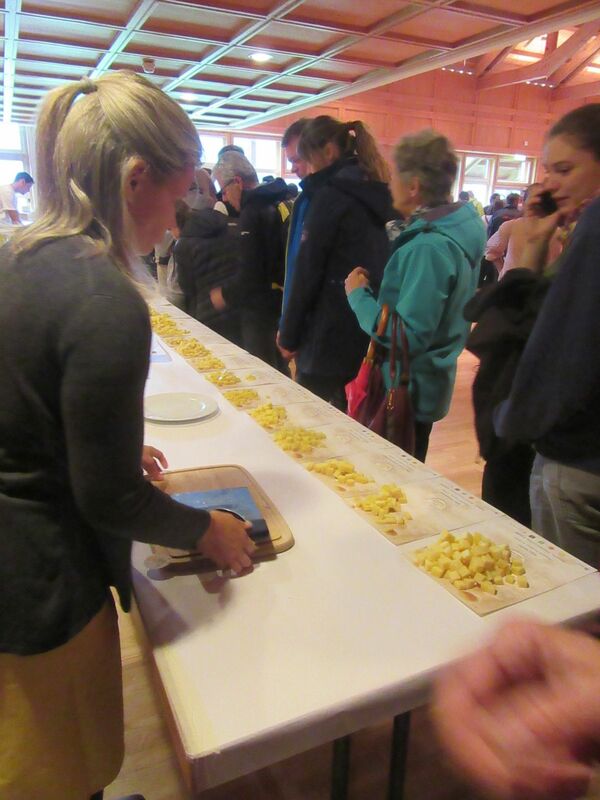 When we visited, a robot was plucking each individual cheese and washing it with brine. 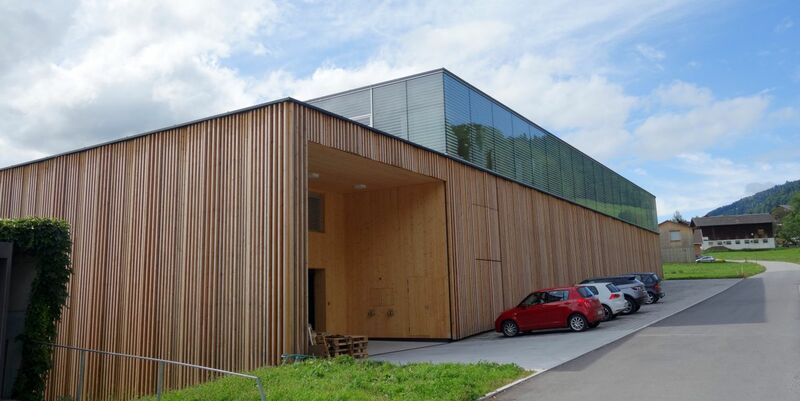 The Bregenzerwald is famous for modern wooden buildings, designed to be sympathetic to the landscape. 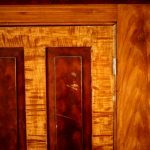 The region has thoughtful architects, a strong tradition of building with wood and, most importantly, enthusiastic clients. 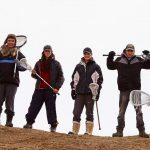 A good example is the Metzler family farm operation. 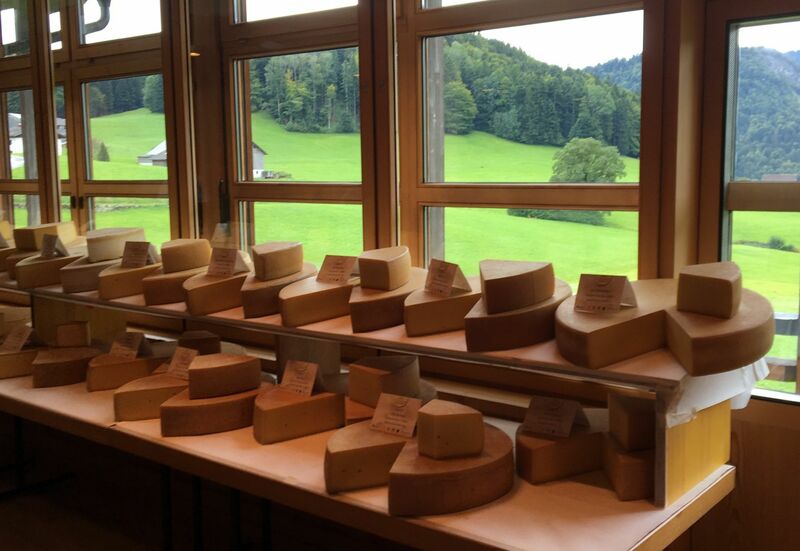 Several decades ago they started developing very successful products that use the whey from their cheese production. 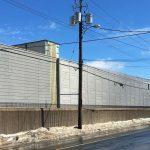 They now have built a campus of beautiful production and interpretive buildings, based on the belief that good architecture adds value to their products. What an idea. 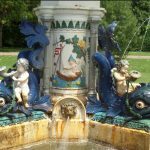 A big thank you to the Vorarlberg State Tourist Board who invited me to visit, and hosted Sheila and me during our stay. 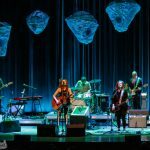 A direct flight from Halifax to Munich and a two-hour drive to Vorarlberg made getting there very convenient.